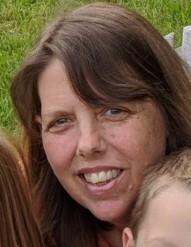 Barbara Ann Kurtz, age 55 of Fredericktown, passed away at her residence on January 31, 2019 surrounded by her family. She was born on September 23, 1963 in Barnesville, Ohio to Robert and Doris (Cunningham) Hankey. Over the years, Barbara has been very involved in the community. She was a preschool teacher at Faith Lutheran Christian Preschool. She was a progressive and inclusive 4H Adviser in the Dog and Horse programs. She cared and nurtured for many 4H students. For many years, she taught Children’s Church and played flute, together with her family, in the worship band at Mount Vernon Foursquare Church. Along with her canine partner, Alli Collie, she offered a reading program at both Mount Vernon Public Library and Fredericktown Elementary School. They also visited local college de-stress events and were regular visitors at the Mount Vernon Developmental Center. Barbara is survived by her husband of 36 years, Matthew Kurtz; a daughter, Natalie (Brian) Sekavec of Mount Vernon; a son, Nicholas Kurtz of Newark; mother, Doris Hankey; grandchildren, Alessandra and Andreas; a sister, M. Kathleen (Randy) Sell of W.V. ; aunt, Marjorie Reedy and an uncle, Richard Cunningham. She was loved greatly by many nieces, cousins and friends. Friends may call on Monday, Feb. 4, 2019 from 5:00 – 8:00PM at Lasater Funeral Home, 11337 Upper Gilchrist Rd. in Mount Vernon. Where funeral services will be held on Tuesday at 11:00 AM. Burial will follow in Mound View Cemetery. Memorial contributions may be made in Barbara's memory to: Knox Community Foundation Scholarship Fund.